At this point, I know what to expect from a Jorn Lande solo release. Life on Death Road is really no different than any of his previous release– catchy melodic hard rock with Jorn’s amazing vocals that seem to channel Ronnie James Dio AND David Coverdale (“I Walked Away” could easily be a lost track from the Slip of the Tongue sessions and “Blackbirds” could’ve come off the last few Whitesnake releases). The only question I usually have is, “Okay, which Dio song is he covering on this one?” Surprisingly, the answer is that he isn’t doing a single cover song at all! These are all Jorn originals, to my knowledge. While promoting this release, Jorn stated this is his best work yet. That’s the type of talk you expect when an artist releases a new album. I don’t think I agree with that statement, but Life on Death Road is an entertaining release with more than a few gems. A welcome addition to Jorn’s catalog. Similarly to Jorn, Mike Tramp is consistent, dependable, and reliable when it comes to his albums. My initial reaction to this album is that it is a little more uptempo than the last couple of releases. Even so, I wish he would return harder and heavier sound more like White Lion had (it doesn’t have to be White Lion). Despite that, his current style of singer/songwriter melodic rock that mixes acoustic with electric is still enjoyable. Like his three previous releases, the tone of the album is melancholic, reflective, earnest & wistful. While not sounding like him musically or vocally, Mike Tramp’s recent solo stuff can draw comparisons to Bruce Springsteen in terms of mood and intention, at least, I think. Like Springsteen, Tramp is a weathered storyteller sharing a view of the world through his own weary eyes. Snakecharmer founding member and original Whitesnake guitarist Micky Moody left the band in 2016, but the ‘snake connection remains as original Whitesnake bassist Neil Murray is still in the band. If you liked the band’s self-titled debut from 2013, you’re in luck. Second Skin is a second helping of the bluesy melodic hard rock and AOR that you’d expect from a group that includes ex- and current members of Whitesnake, Ozzy Osbourne, Wishbone Ash, Magnum & Thunder. The old school Whitesnake connection is what keeps me checking this band out. Solid album, but not spectacular. A long awaited release for me. I loved Good 2B Alive (2008), despite the fact that it sounded nothing like the original Steelheart band. I didn’t think it got the press and respect it should have and even in reviews for this album it seems like some writers are completely unaware that Good 2B Alive exists. That’s a shame. For anyone who is aware of Good 2B Alive, your feelings for that album will likely be duplicated here. Through Worlds of Stardust picks up right where the last one left off — it’s heavy, it’s alternative, it’s melodic. There is no attempt at redoing the past and offering the type of hard rock/AOR that you might expect from a label such as Frontier Records. And, of course, Miljenko Matijevic’s signature vocals are the star of the show. Even in his early 50s, Miljenko’s vocals don’t seem to be aging much at all. A worthy follow-up to G2BA, even if the second half of the album drags a bit because of the slower tempo. First half definitely rocks. Snakecharmer is next in the line in a number of groups that have been put together by small number of former members of Whitesnake. First there was The Snakes, which was started up by former Whitesnake guitarists Bernie Marsden & Micky Moody. Then that became The Company of Snakes featuring Marsden and Moody with the addition of former ‘snake bassist Neil Murray. Then that became known as M3. Now, Moody & Murray have started up Snakecharmer with other notable musicians such as Monroe/Heartland vocalist Chris Ousey, Wishbone Ash guitarist Laurie Wisefield, Magnum/Thunder drummer Harry James and current Ozzy/Black Sabbath keyboardist Adam Wakeman (son of Rick Wakeman). 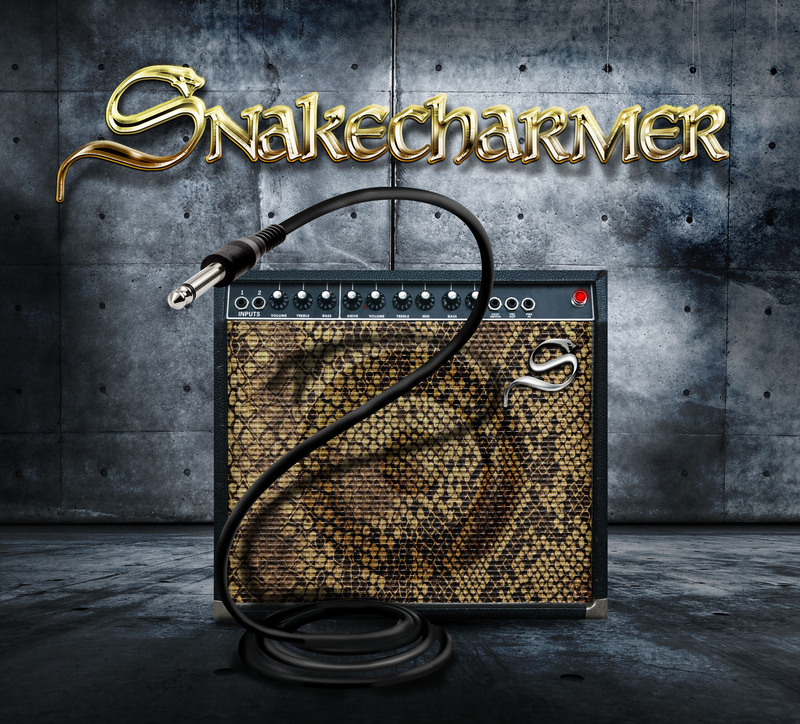 Given all of the names involved, Snakecharmer is what you’d expect: melodic & bluesy classic rock. If you enjoyed what Marsden, Moody and/or Murray were doing in their previous Whitesnake-inspired bands, you’ll like Snakecharmer. That said, Chris Ousey (as good as he is) is no David Coverdale. A number of tracks definitely sound like early Whitesnake though. “A Little Rock and Roll” and “To The Rescue” are shining examples of songs that could’ve been recorded by that band’s earliest line-up. Another standout is “Stand Up”, which kind of reminds me of something Rainbow would’ve done during their more commercial years. Snakecharmer is a solid album full of professionals who have faithfully been playing in this style for decades. Though it openly draws comparison to them, this album is not on the same level with Whitesnake earliest releases. What it is is an enjoyable release and fine stand-in for anyone who wishes Coverdale would take Whitesnake back to their earliest & simplest sound.